Break out your lederhosen and dirndl—it’s Oktoberfest at TAM! Come for an afternoon of beer tasting, trivia, food, board games, and more! As a special treat, TAM members can enjoy EXCLUSIVE access to a whiskey tasting room. Prost! All beers are from local breweries. Beer tastes can be purchased on site for $2 each. This event is 21+. $15 Non-members. Includes museum admission. Purchase tickets online or at the door. 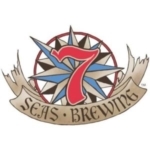 Participating breweries include 7 Seas Brewing Co., Dystopian State Brewing Co., Engine House No. 9, Harmon Brewing Co., Narrows Brewing Co., Odd Otter Brewing Co., Tilted Tree Cidery, and Wingman Brewers. In-kind support for TAM Oktoberfest provided by Heritage Distilling Co. 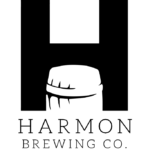 Image courtesy of Harmon Brewing Company.